Trying to figure out how to market children’s books online? It’s a tough genre to crack – find out how from seven-time bestselling author Y. Eevi Jones (tip: this works for other genres too). 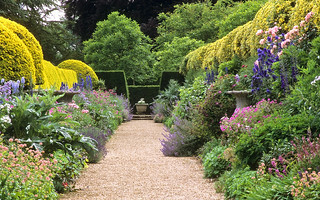 Writing is like tending a garden. At least, that’s the way it’s referenced by author Joe Konrath. You have to pull the weeds, water and fertilize, which means constantly updating your website or blog, gathering new followers. Promoting your book, of course, is an important piece and Joe provides lots of helpful tips on getting your project seen. Ebooks aren’t a Mr. Popeill invention where you can set it and forget it. Quite the opposite. You need to pay attention, and keep active, or your garden won’t thrive. Everyone experiences slow downs in sales. It’s inevitable, and it seems to be cyclical, but not in any sort of way I’ve been able to prodect. Sales seem to rise and fall for reasons unknown. But if you’re doing what you can to make your books discoverable, you have a better shot at sales than those authors who self-publish then self-ignore. READ MORE HERE. We are all on the go. Our time is getting more precious than ever as we make every effort to keep up with the writing challenges, and the need to build an author platform. So what social media tools would you consider using? I found a site where the 10 best sites are listed. These sites will not only help you become more social media savvy but will help you keep track and monitor the activity. You will want to know if you are wasting your time and spinning your wheels. Editor’s note: A version of this article previously appeared at KISSmetrics.com. Social media is everywhere. It’s in our homes, places of worship, schools and, of course, our businesses. Everywhere you look, people are using social media and are talking about it. And it seems that every week a new type of social site pops up. And as the number of social networking sites grows, so does the number of services that are created to measure, track and monitor those services. What’s a marketing professional to do? To help you cut through the clutter, here are the 10 must-use social media tools that can not only help you make sense of your social media efforts but make them more effective. EditFlow is a plugin from open source content management system WordPress that allows you to manage your editorial team seamlessly. With it, you can get a snapshot of your month-to-month content with the calendar feature. It also offers improvedcontent status beyond WordPress’ default draft and pending review. And user groups can help you keep your team of writers organized by department or function. Who should use it and why: Any business owner who manages a multi-author website should give EditFlow a look. This tool can keep all of the things that are important to a multi-author blog in one spot so management is easy, clean and documented. This tool allows you to see how far your tweets travel. For example, with TweetReach I can search my blog and come up with these results. It breaks down how many people your messages reach and how many tweets it took to reach them. For instance, TweetReach can tell you how many times your tweets have been shared by retweets, replies and other standard tweets. Who should use it and why: From a social media manager to a small-business owner, basically anybody who is interested in finding out how effective his or her tweets are based upon the number of people they touch should consider using TweetReach. It can also useful from a metric standpoint in terms of justifying the results of your social media campaigns with senior management or partners. This Durham, N.C.-based startup is a social media platform that aims to help marketers connect the business dots with the social media dots. ArgyleSocial offers a single dashboard to monitor Facebook and Twitter that allows you to delegate tasks to your team. It also offers easy reporting on the ROI of your social media efforts. If you’d like to be an affiliate, you can use ArgyleSocial’s white label brand and resell the social media platform to your clients. All of your accounts can be wrapped up into one bill and sent to you to distribute or absorb as an included service. Who should use it and why: From the social media manager to the one-person business that needs to prove to management, clients or themselves that their social media campaign is paying off. Read more here. Social media usage is now a need. It’s the fastest, easiest, hardest, and most time-consuming method for self-expression and business marketing tool there is today. Whew! Where do you begin? Which social media tool will be best for you? How many should you sign up for? These are the questions that new writers are asking themselves as they begin the journey of building an author platform. I came across and article that will help you sort out some of the conundrum. I will also be writing some articles on the various social media outlets to tell you about what their purpose is and who is utilizing these free services. 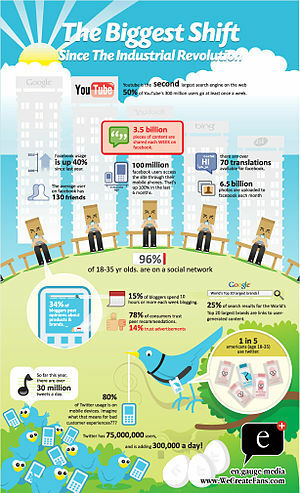 Facebook, Twitter, MySpace, YouTube, Digg, blogging…with so many social media possibilities, what’s a marketer to do? New social media websites are popping up on a seemingly daily basis, and it can be overwhelming just trying to keep up with all of them, much less determining which ones will make the most sense for your business. The good news is that you don’t have to – and shouldn’t – do it all. Because social media is so vast and varied, you’re better off picking a few types of social media that are the best fit for your business and then doing those well. But you may need to be convinced that social media is a worthwhile endeavor in the first place… Benefits of Social Media Marketing Social media is a “must” in any marketing strategy, but especially in a down economy when your marketing budget may be tight or even nonexistent. Most social media sites are free, so while they’ll definitely require an investment of your time and energy, they won’t require any cash. Plus, social media marketing is interactive, so you’ll be able to target your demographic in new and interesting ways outside of traditional marketing techniques. In other words, you may actually be able to catch someone’s attention! Many social media websites actually rank well in the search engines, so you may get the added bonus of increased search engine visibility. Save money. It’s ridiculously inexpensive! Can you say all these things about billboards, radio spots, or other traditional marketing techniques? From blogging to photo-sharing to article distribution, social media gives you a platform to connect with potential customers, build your brand, and drive new sources of traffic to your site. Read more here.